Services provided by Smart Continent LV Ekoterm from its Riga, Latvia office. Management: Gints Turlajs, CEO and Daniels Turlajs, Chairman of the Board are key members of the scientific community in Latvia. Smart Continent has concluded participation in 2 successful 7th FP projects. 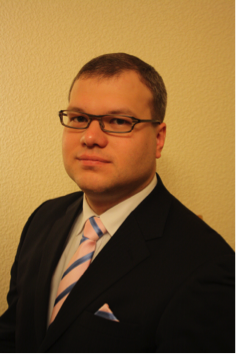 Gints is also a board member in the Latvian Business Consultants Association and a business lecturer. Smart Continent LV Ekoterm is on the official list of experts of the enterprise register of Latvia and provides investors with valuations of company assets. Expert services – Provide the services of a wide network of specialists including economists, business gurus, engineers, natural scientists, social scientists. Requirements are customer defined. Valuations – Perform both custom (eg. evaluation of EU funded projects - applications and project results) and standardised (eg. company valuation, valuation for enterprise register of Latvia) valuations. Research – Wish to partner in Horizon 2020 and other scientific projects. Consulting – Provide on-site customized consulting, trainings, etc. For more information, contact Gints Turlajs at info@smartcontinent.lv.